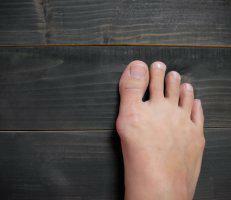 Bunions are those painful, swollen, red bony bumps that stick out at the base of your big toes. Because bunions are progressive and are only going to get worse, don’t hesitate another day to have a bunion evaluation with Mariola Rivera, DPM, of Aesthetic Podiatry & Sports Medicine Center. Dr. Rivera provides cutting-edge bunion solutions for men and women in White Plains, New York. Click on the online scheduler, or call the clinic to book your bunion exam. Bunions are a deformity that develops at the base joint of your big toe. You may notice that your big toe leans over and covers your smaller toes, while that big toe joint gradually swells and forms an obvious bony bump. Bunions form for a variety of reasons. Sometimes, you develop bunions because of trauma or injury to your big toe joint. You can develop a similar condition in your baby toe for the same reasons. This is known as a bunionette or a tailor’s bunion. In any case, because bunions progressively worsen over time, it’s important to seek medical intervention as quickly as possible. Plus, the more your bony bump progresses, the harder it’s going to be for shoes to fit you comfortably. 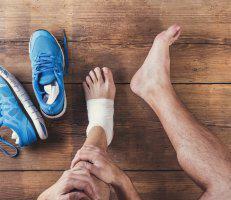 Since your feet are going to rub up against the insides of your shoes incorrectly, you can start developing uncomfortable calluses and even painful corns. If you’re experiencing any of these bunion-related issues, you have options for relief at Aesthetic Podiatry & Sports Medicine Center. Can a bunion be treated? Conservative bunion treatments aren’t always enough. If you continue having pain, or if you have a severe bunion deformity, Dr. Rivera could recommend surgery. Modern bunion surgery, which is minimally invasive, is tailored to your specific condition. Dr. Rivera tries to avoid joint fusion, which locks up your toe joint, whenever possible. She specializes in the more modern Cartiva® synthetic cartilage implant. This allows her to correct your toe joint and restore your toe range-of-motion, so you can get back to your normal activities without limitations. You can get innovative treatment solutions for bunion discomfort right in the office at Aesthetic Podiatry & Sports Medicine Center. Book your bunion evaluation online or over the phone.